Design Telecommunications provides wireless telecommunications services. 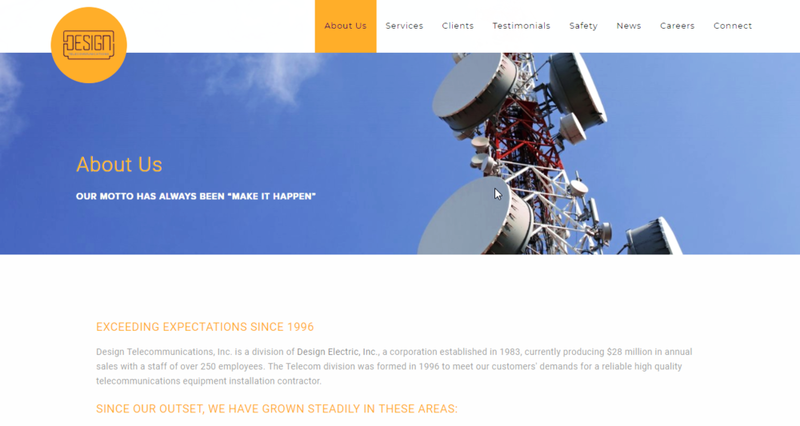 Construction, Tower Services, Testing, Radio Equipment Installations and Integrations. 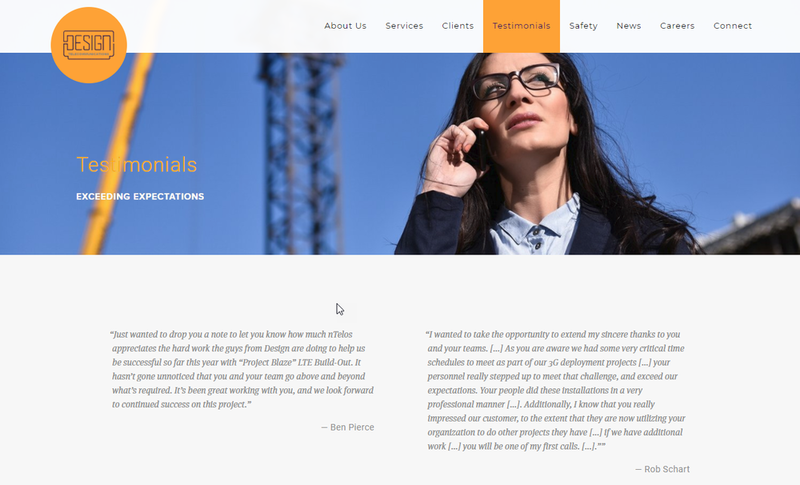 We had the pleasure of working with their great team to take their web presence to the next level. Completely redesigned their site from the ground up including a responsive layout.